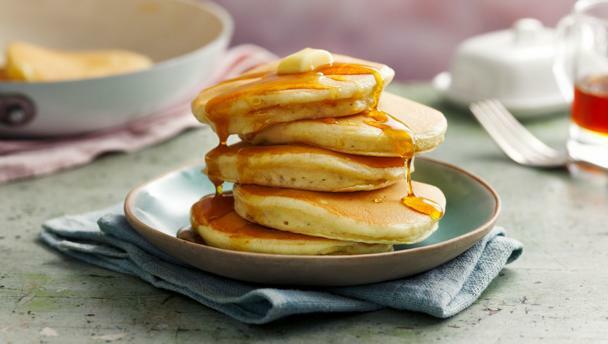 John is a man that likes routines, and he always start his day with "Fluffy American pancakes". To get them perfect, he makes them himself, and he has been developing this recipe for years. If you can not eat wheat flour you can switch to oat flour. John's wife love this With the Sunday Roast, so John makes this as often as he can to keep his wife happy. John prefers warm lunch, but he finds the different menus in the school cafeteria too boring and too unhealthy. This is why he likes to bring his own lunch which is always something he creates from using vegetables, fruits, and berries. He makes himself a smoothie containing yogurt and/or different kind of juice. Before he gores to bed on saturday evening he must have his favourite pizza. You can find the recipe hear.